I am a Gospel Singer and worship leader, doing ministry among slum children's. We have an self ministry. slum children home we were teaching them and sharing gospel among them. 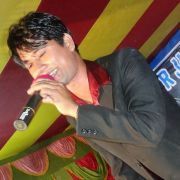 and now i have to release video songs (TALI BAJAO) for Children which presented by slum children's.